S-Lon (Super-Lon) Cord is a great cord for stringing, kumihimo, bead crochet and micro-macramé. 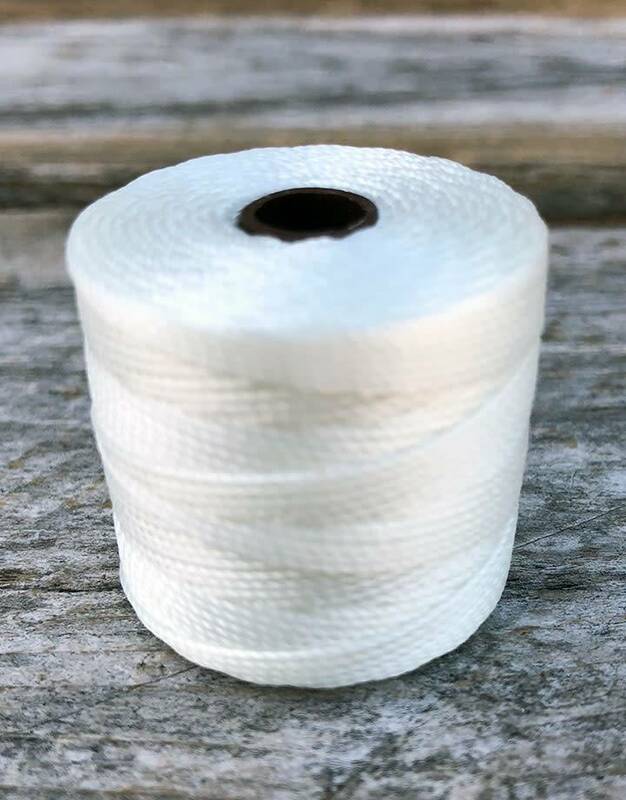 It is a nylon multi-filament that has a nice bulk to it and has a texture that is similar to heavy upholstery thread but avoids stretching. 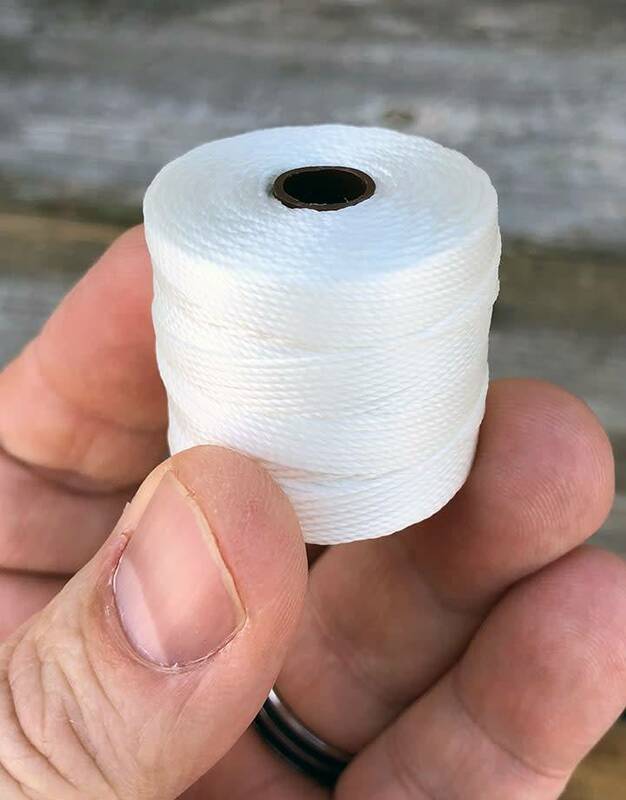 Fits through a size 12 needle.